"Look here, Mac. I'm gonna to give it to you straight: grownups lie. Sure, they like to say that kids make things up and that we don't tell the truth. But they're the lying liars." Holm creates a character full of sass and resilience--he isn't afraid to tell it like it is. Grownups lie, life is hard, friends are key. I'm also really looking forward to talking with kids about how Beans grows and changes throughout the story. I'm fascinated by the way that Holm pulls modern kids into a time and place so far away. 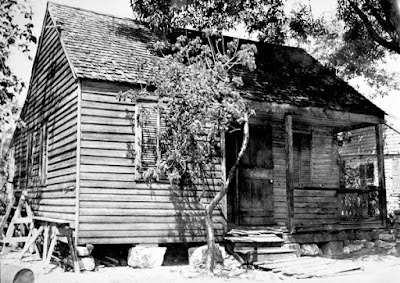 Life wasn't easy for Beans--the Great Depression has the Florida Keys and all of America in its grip. Jennifer Holm was kind enough to answer a few of my questions about Full of Beans, her research and what struck her during the writing process. Beans' voice rings so distinctive and true. How do you get into character as you write? Beans was always such a clear character to me. It sounds silly, but I could totally hear him in my head. I mostly try to get outside to get in the writing zone—away from my desk and computer. For some reason, if I’m taking a walk or jogging, the ideas come more easily. 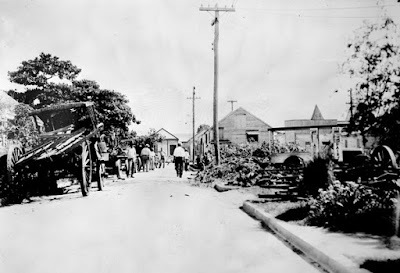 What are some images of Key West from the 1930s that show how hard life was during the Great Depression? As part of President Roosevelt's New Deal, the Federal Emergency Relief Administration created a plan to revitalize Key West, renovate houses and hotels and turn it into a tourist destination. These before and after pictures of a school teacher's house are amazing. My great-grandmother grew up in a house like that. What are a few of your favorite sayings from this time period? Did you make them up get them from your research? I love the phrase “mind your own potatoes.” That just says it all. All of the sayings except for one were rooted in the time period. My daughter, Millie, made the lone modern contribution with her own personal phrase: “What in the history of cheese?” It’s become a household saying around here. What was something astonishing you learned doing your research for this book? The whole leprosy storyline sucked me in pretty fast. It seemed quite far-fetched at first when I started to track down some of the rumors, but the more research I did, the more I discovered. In retrospect, the idea that people would hide family members who had leprosy (Hansen’s Disease) was very understandable. There was no treatment available at the time and quarantine was how the public health service managed the disease. People with leprosy were commonly “sent” (exiled is a better word in my opinion—there was not much choice involved) to leper hospitals, a notable one being in Carville, Louisiana. Even children were sent away. It was quite a heartbreaking situation all around. Can you share one of the recollections of a family member that helped you bring this story to life? My favorite memory was shared with me by a distant cousin. She had grown up across from the cemetery—which is in the middle of an old part of the city. 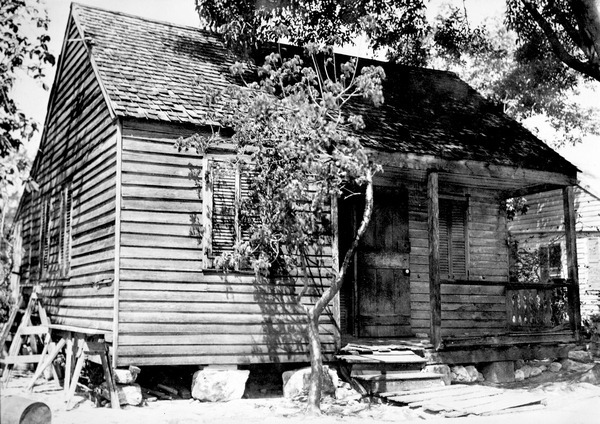 The houses in Key West are made of wood and built quite close together. 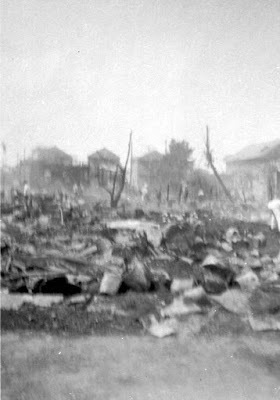 She told me how when she was a child and there was a fire, all the neighbors near the burning house would take their belongings – from pots and pans to pianos – to the cemetery for safe keeping. They would just kind of camp out there because it was the only place that wouldn’t catch fire. 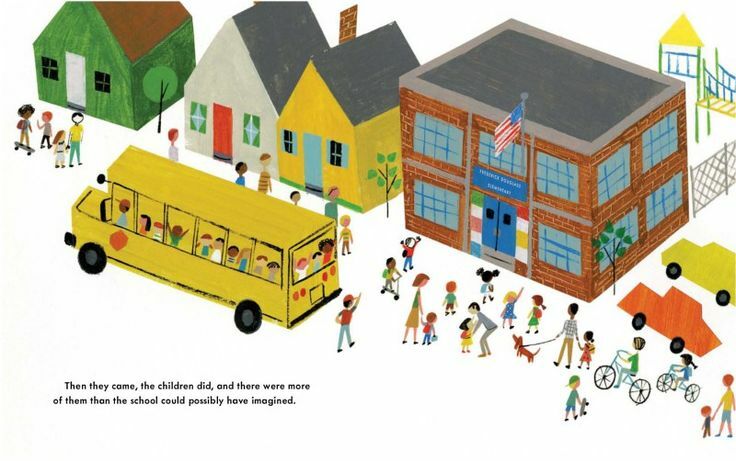 What connections do you make between the hard times Beans and his friends faced in the Great Depression and challenges kids might be experiencing today? Having a parent lose their job and the fear of having to move is something that kids of any era can relate to. In our own family, we have had a lot of up-and-down times. Kids always know what’s going on even if the parents aren’t discussing the problems with them. Thank you so much for taking the time to share with us about Key West, your research and your wonderful story. The review copies were kindly sent by the publisher, Random House Books. If you make a purchase using the Amazon links on this site, a small portion goes to Great Kid Books. Thank you for your support. Does building resilience in kids mean they have to be able to handle everything by themselves? Or that they can weather the hard times, with their sense of self intact? 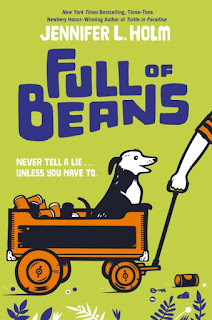 I adore Jennifer Holm's newest novel Full of Beans precisely for the way that Beans struggles through hard times, learning about the consequences of his decisions, yet never losing his sense of humor or his loyalty to his family and friends. It is both delightful to read and wonderful to reflect upon. Beans Curry knows life is hard with the Great Depression--his dad is out of work, leaving home to look for work up north, and his mom takes in laundry, raising the family in their Key West home. Beans tries to help, sifting through the garbage looking for cans because a local con man has promised him twenty cents a can. Beans’s earnest voice shows a young boy trying so hard to help out and to do the right thing, but getting caught up in dubious circumstances over which he has no control. Holm writes with a natural ease that is deceptively easy to read. Her writing allows readers to explore Key West in a time just as it is becoming a tourist destination due to the New Deal and its workers. Beans’ personal story is clearly tied to the story of Key West with his own despair and lack of money mirroring the city’s. His own journey through to honesty and truth follows that of the city as well. It’s a clever dynamic that makes both roads to change all the easier to relate to and believe. 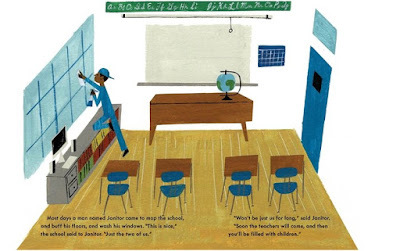 This would make a terrific read-aloud, either as a family or in the classroom. Terrific sayings from the 30s infuse the dialog, and short chapters keep the pace moving quickly. Readers will root for Beans, whether it's as he's playing marbles against a rival gang or as he's struggling with hard decisions that will affect his neighbors and friends. I'm especially looking forward to talking with my students in our Mock Newbery Book Club about how Beans responds to hard situations and how he changes. I wonder how they'll envision the setting of Key West, and themes they'll identify in the story. Join me on Wednesday -- I'm looking forward to sharing an interview with Jenni Holm. 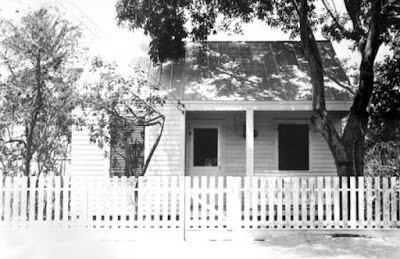 I'm especially looking forward to sharing a slideshow of images of 1930s Key West. The review copies were kindly sent by the publisher, Random House Books. If you make a purchase using the Amazon links on this site, a small portion goes to Great Kid Books. Thank you for your support. 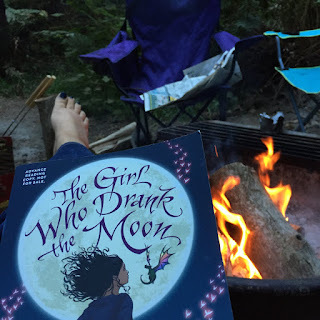 I can't wait to share The Girl Who Drank the Moon with my students and hear their thoughts; it's a story full of deep magic, wonderful characters, powerful themes and rich language. Magical stories have fascinated me since I was a young girl--starting with classic fairy tales, their all-powerful witches and the young people who outsmart them. This is sure to be a favorite this fall, especially with my fantasy-loving readers. A terrible crime happens once each year--the people of the Protectorate must sacrifice a baby, leaving it in the forest for the witch who threatens them. They believe that this child saves them all: "Sacrifice one or sacrifice all." But who is telling this story? Who makes the family sacrifice their child? And what happens when the child is left in the forest? Right away, questions start swirling in the readers' mind. This complex story quickly unfolds, revealing that the Elders hold the power in the Protectorate, enforcing this tradition ruthlessly--and the submissive populace rarely questions them. This year, however, things go differently as the grieving mother protests vehemently when her baby is taken to be left in the forest. Barnhill quickly raises the questions of truth, power, authority and loyalty--themes that readers will reflect on throughout the story. As soon as the Elders leave the baby in the forest, a kind witch named Xan rescues her. Xan accidentally feeds the infant moonlight, which gives her powerful magic. Aware that magic is both a power and a responsibility, Xan decides to raise the infant--whom she names Luna--as her granddaughter. Barnhill skillfully weaves together three separate plot lines: Xan and Luna's relationship together as Luna grows into adolescence; the grief the madwoman--Luna's mother--endures after her baby is taken from her; and the questions that arise in a young apprentice to the Elders after he witnesses the madwoman's breakdown. I cannot wait to hear what students in my Mock Newbery club say about this story. Will they react most to the characters? Or will they start thinking about the themes that Barnhill raises? How will they react to the uncertainty and complexity in the plot? It will be a terrific choice for book clubs to read and discuss. I loved listening to Kelly Barnhill talk about the beginning of the story with my friend librarian Laura Given, in the summer reading podcast. Definitely listen to Kelly and then listen to Laura read aloud the opening chapter in her podcast PCS Reads (hopefully the podcast will embed below). The Girl Who Drank the Moon reminds us that all great stories offer readers rich explorations of what it means to be human–even when the “people” are dragons and witches. Whether our scales and warts show on the outside or not, we are all flawed, but our choices show the world who we really are." The Girl Who Drank the Moon is a book that I want to savor, reread and talk about. It is definitely a complex story that juggles many themes and plot lines, asking readers to consider different characters' points of view and motives. The review copies were kindly sent by the publisher, Algonquin Books for Young Readers / Workman Publishing. If you make a purchase using the Amazon links on this site, a small portion goes to Great Kid Books. Thank you for your support. Starting school is a big deal in a little person's life. I love sharing these ten picture books with kids throughout the fall. In part, it's creating a shared experience--letting kids know they aren't the only ones going through these experiences. It's also a time to notice all the changes and talk about what's happening. 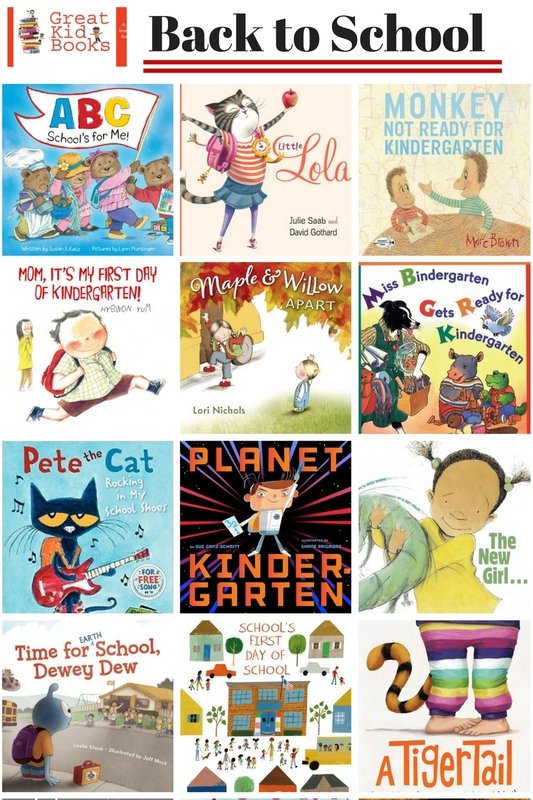 Preschoolers will particularly like the energetic, sweet rhyming in Susan Katz's ABC, School's for Me and the fun song that goes along with Pete the Cat. Kids new to kindergarten will be reassured that they'll quickly get used to kindergarten, just like monkey in Monkey: Not Ready for Kindergarten. Other new kindergarteners will love the out-of-this-world energy of Planet Kindergarten. My teenagers still smile at the classic ABC story of Miss Bindergarten Gets Ready for Kindergarten. 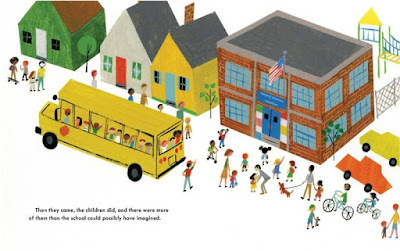 If your little one is anxious, they might like the upbeat reassurance in Little Lola, or they might like the way Hyewon Yum turns the tables in Mom, It's My First Day of Kindergarten! showing how nervous parents are, even if the kids have everything under control. 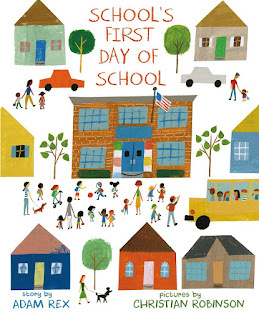 Do you have any favorite books to share as your kids start the school year? I love adding to my collection! The review copies were kindly sent by the publishers, Macmillan, Harper Collins, Chronicle, Penguin, Random House, Simon & Schuster and Boyds Mills. If you make a purchase using the Amazon links on this site, a small portion goes to Great Kid Books. Thank you for your support. Many kids love having the stage, but don't actually want everyone looking at them all at once. Digital recording tools allow kids to capture their voice & video, practice their presentations and share their best work--all without the intimidation of being on stage. We've used digital recordings for kids to share their poetry, interview authors and practice presentations. Screencastify has been a reliable, easy tool for our students. They use Chromebooks at school, and there is a great free Chrome extension for Screencastify. This has many applications in the classroom, library and at home. Here's a presentation I have put together to help teachers learn how to use Screencastify. I hope it gives you some ideas about how you can use it to engage kids. This YouTube playlist shares different Screencastify Tutorials you might find useful. I hope you get a chance to try this tool out. Let me know if you have any success engaging kids with this easy-to-use tool. Across the country, kids are starting school, anticipating changes, wondering about new teachers, looking forward to seeing friends. Adam Rex and Christian Robinson bring a terrific new spin to these transitions by asking: how does the school feel about all of this? All summer long, Frederick Douglass Elementary has been getting ready. Everything is clean and spiffy, quiet and orderly. "Won't be just us for long," says his friend Janitor; soon school will start and "you'll be filled with children." Janitor says, “Don’t worry--you’ll like the children,” but school does worry. "Won't be just us for long," said Janitor. "Soon the teachers will come, and then you'll be filled with children." As the children arrive, the school is nervous. So many children! "They got everywhere." And when some kids are bored or sad, school worries that it isn't good enough. "'This place stinks,' said one, and the school gasped." One small girl is so sad and upset that her mother has to carry her into school. "Then they came, the children did, and there were more of them than the school could possible have imagined." Kids will laugh at the way Adam Rex flips this story, getting them to think about the beginning of school in a whole new way. Christian Robinson's illustrations are colorful cut-paper collages, full of diverse kids. I love the way Rex's humor is gently witty, encouraging readers to relate to the school's feelings without going overboard on the personification. "Emotional self-awareness involves identifying and understanding one's emotions ― including "big feelings" that can sometimes overwhelm us. As Fred Rogers reminds us: 'When we can talk about our feelings, they become less overwhelming, less upsetting, and less scary.'" Reading aloud together, talking about picture books, helps children build empathy as they think about other people's thoughts and feelings. What fun to think about the school having feelings, too! Illustrations copyright © Christian Robinson, 2016, shared with permission of the publisher. The review copies were kindly sent by the publisher, Roaring Brook / Macmillan. If you make a purchase using the Amazon links on this site, a small portion goes to Great Kid Books. Thank you for your support. 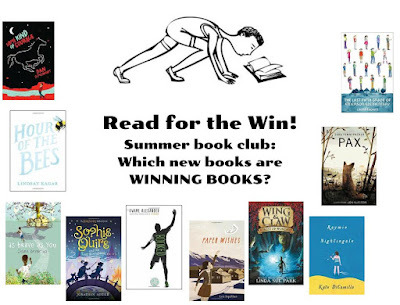 Throughout the summer, I look for the best new books to bring back to our Mock Newbery Book Club. Are you interested in starting your own club? It's easy! Read all about our process at the ALSC Blog: Hosting a Mock Newbery Book Club. Here are some titles I will share with our 4th and 5th grade students, as the best new books for 2016. In order to honor students’ voices, we encourage them to nominate books similar to the way Newbery Committee does. Two kids have to agree to nominate a title that meets the Newbery eligibility requirements. The only criteria is that it has to have been published in 2016 by an American author, and it has to stand out as an excellent book. They'll look at these summer & fall releases, the books they've been reading from the spring (see Spring 2016 favorites) and any others they find. We then manage and massage the final list to ensure a wide range of diversity. We (the organizing librarians) limit the final list to 10 titles so that it isn’t overwhelming and so that we can focus our discussions within the time allotted. The fun is seeing which books catch fire, ignite students' passion and spread from one kid to the next! I'd like to give a special thanks to my reading buddies in Berkeley--Armin Arethna, Becca Todd, Jessica Lee, Joal Arvanigian, Zoe Williams, Olivia Sanders, Mia Caporal, Suzy Mead, Simone Miller and many others. I also am so appreciative of friends in our Voxer Mock Newbery group--this group of librarians and teachers help keep me in touch with other classes across the country. Many thanks to the publishers for sharing review copies: Simon & Schuster, HarperCollins, Macmillan, Random House, Scholastic, Algonquin, Boyds Mills, Disney Hyperion, and Little Brown. If you make a purchase using the Amazon links on this site, a small portion goes to Great Kid Books. Thank you for your support. What books have been in your summer reading piles? As we prepared for summer last June, our Mock Newbery Book Club met to talk about books we've loved this spring and start our summer wish lists. Today, I'd like to share the books our kids talked about most as they headed into summer. 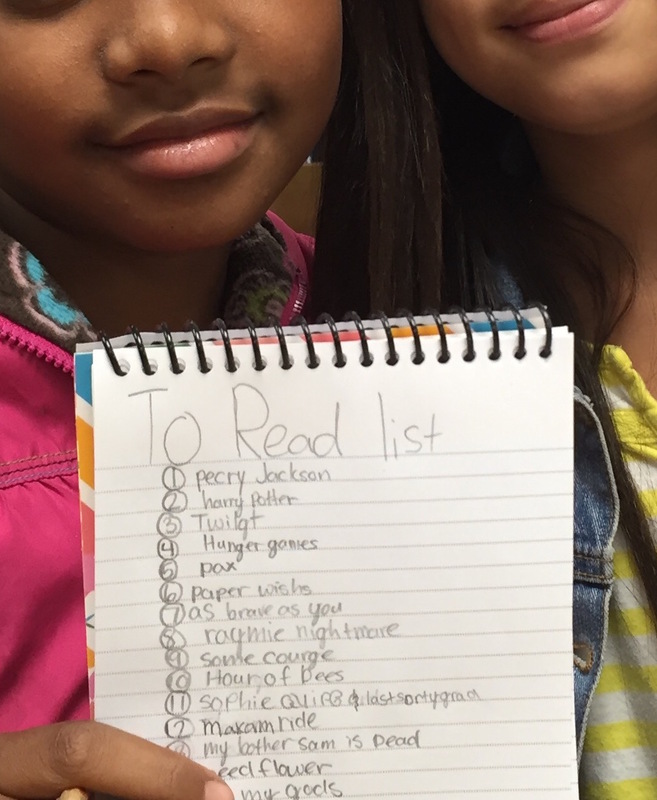 Head over to the NerdyBookClub to read more about hosting your own Mock Newbery Book Club. Throughout the spring, we met informally to talk about new books we were reading. Here is the selection of books we heard kids recommending most often to friends. We are trying to build consensus around which books kids will want to talk about, as we head toward our fall nominating meeting. We welcome all 4th and 5th grade students--kids love being part of a club. We work hard to introduce a variety of books to students, so that there is diversity in genre, race, ethnicity, style and reading levels. 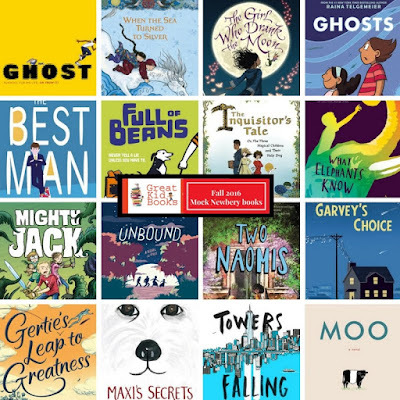 The Newbery Committee itself is reading many many more than these ten titles, but we try to focus on ten books that reflect a range of interests and reading levels for our students. We are never all reading the same book--instead, we focus on asking students what they're reading and what they think about it. We talk about the Newbery criteria, but really that just helps them think more carefully about a book, going beyond, "I loved it!" to talking about the writing, the story, and the characters. I'd like to give a special thanks to my friends in our Voxer Mock Newbery group--this group of librarians and teachers help keep me in touch with other classes across the country. Many thanks to the publishers for sharing review copies: Simon & Schuster, Houghton Mifflin Harcourt, HarperCollins, Candlewick, Macmillan, Random House, Scholastic and Abrams. If you make a purchase using the Amazon links on this site, a small portion goes to Great Kid Books. Thank you for your support. Welcome August! I am going to embrace these summer days, plan trips to the beach, and make time for reading and relaxing. If you want to savor the fun, check out these five favorite picture books. 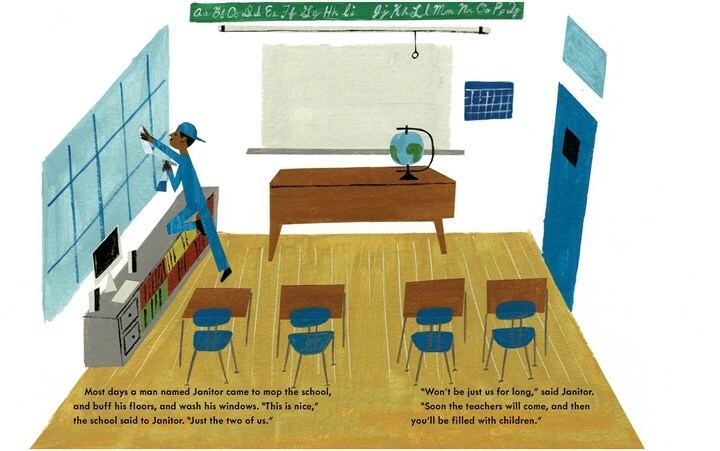 A Beach Tail, by Karen Lynn Williams, illustrated by Floyd Cooper -- I love this gentle, warm portrayal of an African American son and father enjoying a summer day at the beach. Gregory ventures farther and farther down the beach, soon realizing that he has lost sight of his dad. Children especially relate to Gregory’s problem-solving and courage. If You Ever Want to Bring a Piano to the Beach, Don’t! by Elise Parsley -- A perfect book for when your own headstrong child is driving you crazy. When head-strong Magnolia demands to bring a piano to the beach, her mom just calmly tells her, “Don’t lose it.” Each antic leads to crazier situations. Magnolia shines as the true star, with exaggerated expressions that will get all would-be divas laughing. Sea Rex, by Molly Idle -- "Ready for a carefree day of fun in the sun?" Read this picture book for a charming look at instructions for just what to do. I love how the straightforward text is complemented with funny illustrations as the day goes awry in big and little ways. Surf’s Up! by Kwame Alexander, illustrated by Daniel Miyares -- "SURF'S UP, BRO!" Dude yells to his best friend, but Bro doesn’t respond--he’s too caught up in his book. Dude can’t believe it! “You’d rather read a book than go to the beach?” “Dude, books are fascinating!” Great dialog and bright illustrations make this a terrific celebration of reading, friendship and the beach--perfect for summer! 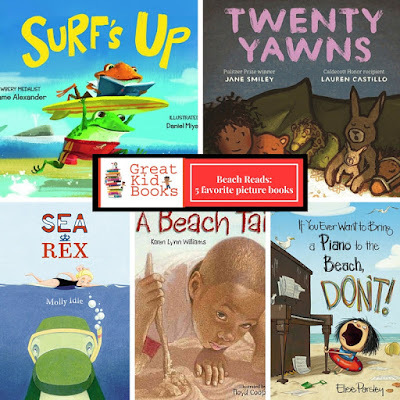 Twenty Yawns, by Jane Smiley, illustrated by Lauren Castillo -- After spending a day at the beach, Lucy's parents are sure she'll fall right to sleep. Now that it’s time for bed, she is wide awake. How will she fall asleep with the mysterious moon shining through the windows? Smiley’s simple, reassuring text is complemented by warm, evocative illustrations. Castillo portrays this biracial family in an especially lovely, straightforward way. Many thanks to the publishers for sharing review copies: Boyds Mills, Little Brown, Chronicle, North/South, Two Lions. If you make a purchase using the Amazon links on this site, a small portion goes to Great Kid Books. Thank you for your support.